With our Heart and Brain (EEG/EKG) SpikerShield Bundle, you can view and record the action potentials of your heart and the slow rhythms of your brain using a Computer running our free Spike Recorder Software. Arduino based, you can make any interface you want, for example, use your heartbeat to control a toy drum or lights. 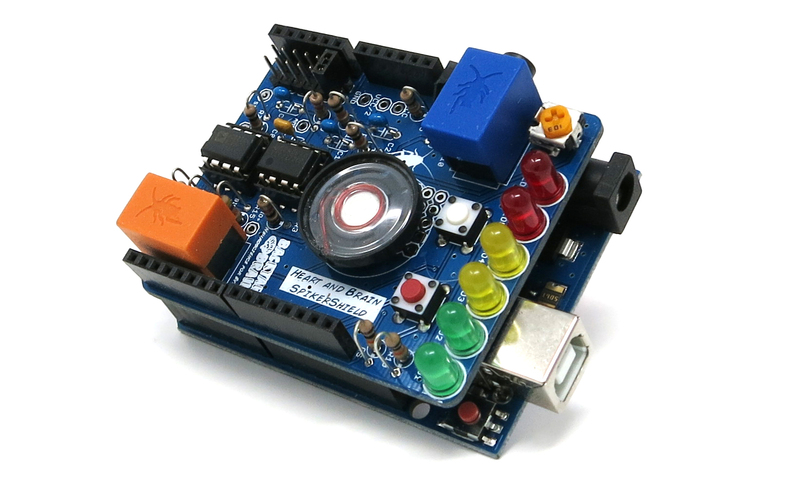 Try to create your own brain link interface too! Bonus: you can also use this instrument to record electrical deflections of the eye. Preassembled and ready to go out the box. After going through our starter experiments, you provide the imagination to come up with new wonderful interfaces and observations. 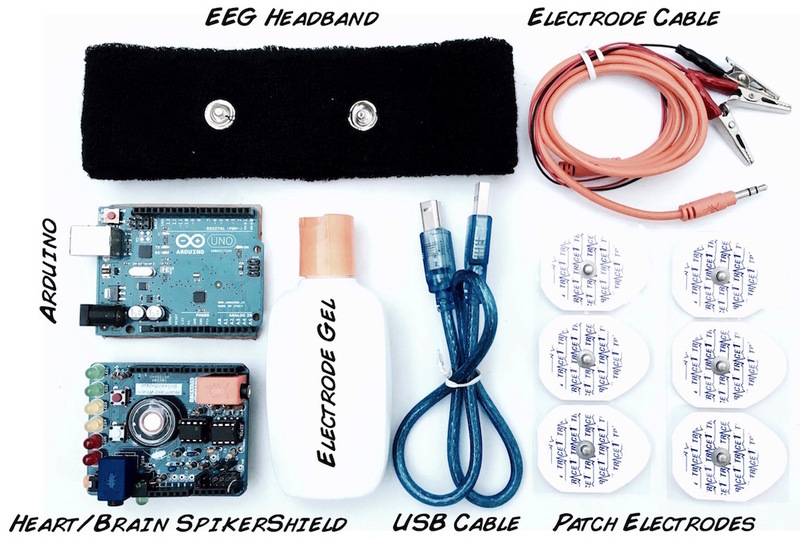 This bundle comes with 10 Electrode patches and our new fashionable EEG headband. 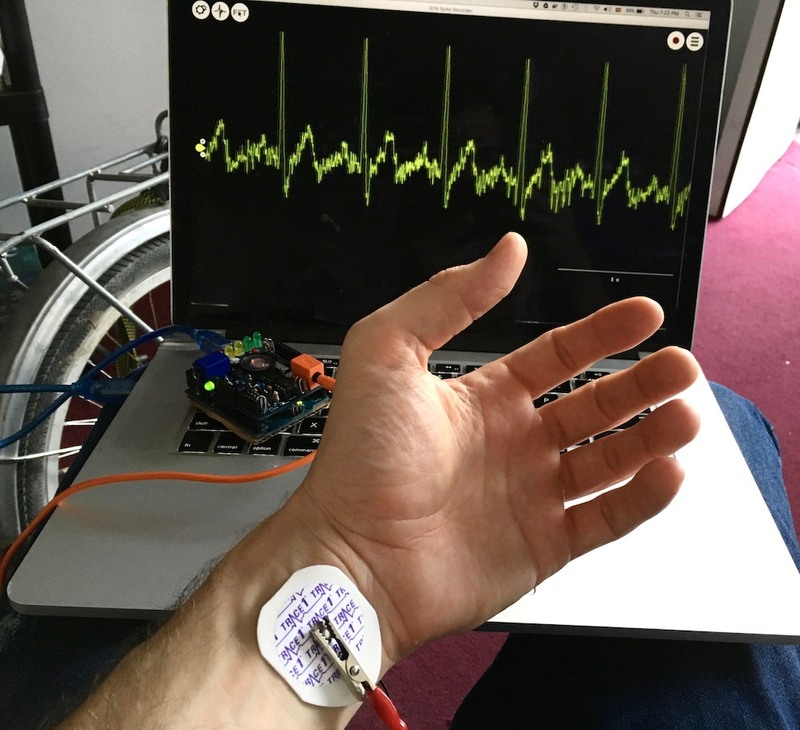 Video of Heart & Brain SpikerShield Recording EEG (Brain Waves)! Video of Heart & Brain SpikerShield Recording EKG (Heartbeats)! Video of Heart & Brain SpikerShield Recording EOG (Eye Movements)! Preassembled Heart and Brain SpikerShield. 12 large electrode patches for EKG recording and EEG ground.